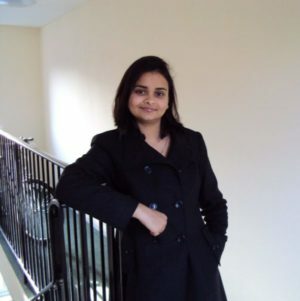 We interviewed Bhavana Awasthi, Technical Lead at Rank Group on her experience and thoughts on women in tech. In my current role as a Technical Lead at Rank, I am responsible to implement Agile practices, focusing on the technical aspect of the product delivery, designing technical solution along with architect for critical projects for Ranks like Finance replacement, Campaign management, CoreHR etc. I also defined the code branching and versioning strategy. I guided the team to follow best practices such as TDD/BDD, follow SOLID principles and pair programming. I work closely with energetic and enthusiastic team of 5 Business Analysts, 6 Project Managers, 4 solution architects, 5 developers, 3 release engineers and 2 devops to give our customers a unique experience. Our team composition included associates from different age group which help in bringing right mix of fresh & wild ideas and wisdom acquired by virtue of experience. Rank continuously strives to lead the race in technology and agility in its implementation which gives us challenges every single day. Thus, ensuring our passion for technology & urge to learn is always kept alive. During my graduation day’s computers were not ubiquitous in India and was a luxury, which only handful can possess. I got my first encounter with Computer in last 2 years of my Schooling. I appreciated the beauty of this machine but I was more interested in understanding how it works. I neither had money to buy this beautiful machine nor I could buy more books, so, I started spending hours in library investigating how hardware and software works. My love for it grew day by day when I designed my first program in java language during college days. 15 years back designing a small program was celebrated and I never turned back since then. I have altogether a different story. I am a commerce graduate. During my college days, traditional courses were considered safe option for women as their only target was to get basic education and get married. This phenomena has changed a lot now. However, I had to struggle a lot in order to keep my passion alive. I went for Graduate classes in morning. Joined evening classes for Computer Languages. This continued for 2 years. So formally, I don’t own a Computer Degree, however, I do own a love for technology which is more than any degree which formal education can offer. I have about 15 years of work experience. I have been in this wonderful country for about 7 years now. My career spans from teaching small computer science programs to school/graduate level people. Post that I worked across different roles which include development, testing, designing, tech lead etc. Also, I have worked across different technologies which include asp. Asp.net, asp.net MVC, SQL Server, SQL server, Azure etc. Unfortunately Yes, females in IT or Tech sector have still not reached optimum level. But silver lining to this exist in the fact that proportion of females is constantly increasing. I have myself witnessed this in my career of about 15 years, I still remember when I first joined course for learning computer Language way back in late nineties. I was the only female in class of about 40 people. Almost, all batches had same proportion. Since then situation has drastically improved and I see more aspiring, young women in tech space now. I also credit this change to corporates such as Rank which constantly promotes gender diversity in the organisation by providing conducive working conditions for women like flexible working hours. Absolutely. But I believe that we women should take the onus of breaking this stereotype. In an organisation like Rank, I find women doing exceptionally well. I credit this stereotype to a belief which we all have been hardwired with. Males have always dominated in terms of quantity, but we tend to forget number of successful females who have been part of Tech industry, as they are usually minority. I congratulate womenintech.co.uk for giving us a platform where we are given a chance to speak out. This is surely going to encourage more women to choose technology as a career option. Innate passion for Technology is must to opt for such courses. Women who feel they love numbers, logic, and creativity should opt for tech. However, must is that we continue to strive for it. What I have witnessed is we women tend to opt out of field quickly as compared to our male counterparts. We should continue to stick with our love. A woman is an employee in morning, then a house maker in evening who handles both her kids and husband. Thus, we are innate “managers“ who find creative ways of handling dynamic situations every day. Technology is no different. I am firm believer of the fact that determination and perseverance are basic ingredient for success. I come from a country where, till few years back marriage was the sole aim of education. Despite getting into Commerce for my graduation, I continued my education in Computer Science, coached people over weekends to earn extra bucks, but still continued my passion. I feel the only barrier which exist in modern world for women is the pseudo painting of male dominated tech. world. Facebook, YouTube, IBM etc. all have women in-charge at top. Through your platform, I invite and encourage more and more women to enter Technology world. It’s agile with lot of exciting opportunities to learn. Showcase female role models. I congratulate womenintech which is giving platform and bringing more and more Tech Women at the forefront. Conducive working Environment & HR policies– Women tend to go through multiple cycles including maternity. Tech landscape is changing very quickly and by the time she returns back from her maternity, she is considered not fit for job. We need to frame policies which encourage us to re-polish our skills and get back into the market. More women trainers. I witnessed drastic motivation if females are trained by their female counterpart. I witnessed this myself when I was a trainer.